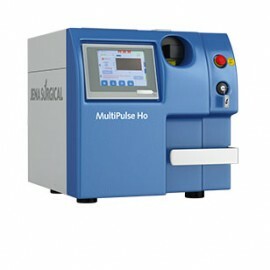 MultiPulse Ho is a surgical holmium laser dedicated to applications in endourology with a max power of 35 W. MultiPulse Ho is the go-to device for endosurgical lithotripsy for the treatment of urinary tract stones (in ureteroscopy, ureterorenoscopy and for the percutaneous nephrolithotomy technique) and common bile duct stones. 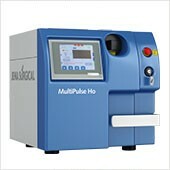 The MultiPulse Ho holmium laser is a perfect lithotripter optimized for pulverization and fragmentation of ureteral, bladder and kidney stones. Effective for the treatment of all types and chemical stones composition, it today represents the optimal solution even for those par­ticularly difficult to reach. Moreover its higher power of 35 W allows this system to manage large calculi with efficient and faster surgeries. Lithotripsy with MultiPulse Ho is an excellent alternative to the traditional ESWL (Extracorporeal Shockwave Lithotripsy), as it involves less risk of complications and a higher degree of efficiency and safety, regardless of the stones type to be treated. Compared to other surgical procedures, it features the undeniable advantage of minimizing both bleeding and movement of the stones (retropulsion) during surgery. The action of the laser has a dual physical effect, photo-thermal and photo-mechanical. The pulsed emission, with a 2.100 nm wavelength that is highly absorbed by water, transmits energy in the form of shock waves that produce a cavitation effect in the liquid surrounding, causing pulverization or fragmentation of the stone, without invasive surgical procedures. The wide range of multiple combinations of frequency and energy enables the urologist to choose the right setting for any treatment. Low frequency and high energy are used for fast and rough fragmentation while low energy and high frequency settings allows stones pulverization in so small particles that can be expulsed with minimal discomfort for the patient. Depending on the stone size, texture and location as well as on the symptoms and obstruction degree, the surgeon can perform different surgical procedures: URS – ureterescopy, RIRS – retrograde intrarenal surgery and PCNL – percutaneous nephrolithotomy. 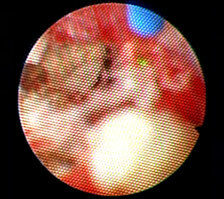 Treatment of urethral stricture, resulting from spongiofibrosis due to different causes such as inflammation or trauma, can now be quickly and effectively treated with holmium laser urethrotomy using MultiPulse Ho. This minimally invasive and safe procedure is suitable for short urethral strictures as well as for more significant strictures or for the treatment of urethral atresia. 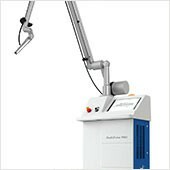 The laser ablates damaged tissue with a clean cut, free of bleeding and without penetrating too deeply. This reduces the risk of lateral thermal damage, complications, recurrences or the formation of post-surgery fibrosis, resulting in complete restoration of normal urinary flow. The MultiPulse Ho system is also an excellent tool for ablation procedures, incision and coagulation of soft tissue, providing maximum operating control and minimal damage to adjacent areas. It offers a wide set of applications in surgery for tumors in the bladder, urethra, ureter and kidney. MultiPulse PRO is the CO2 laser surgery system used for ENT microsurgery, general surgery and colposcopic gynecological surgery. Suitable for all photoablation treatments, it facilitates the work of surgeon thanks to the synergy of advanced technologies. The SmartXide² system with CO2 and diode laser sources is one of the most versatile and cutting-edge solutions available in the surgery market. 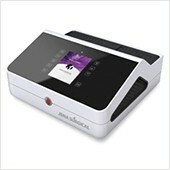 It is suitable for precision microsurgery in ENT, gynecology, neurosurgery and general surgery.